Molini Riggi buys wheat from local farmers. The wheat used to produce the main flour products (like the ancient grains range) and pasta (ancient grains range) comes from organic farms where the use of synthetic products such as glyphosate is strictly forbidden. We asked our laboratory manager and technician Valeria Urso to understand more about Molini Riggi’s position on the issue of glyphosate. What is the Molini Riggi position in relation to the issue of glyphosate? In relation to the ambiguity and uncertainty made by current scientific studies in circulation Molini Riggi – in order to safeguard their consumers- currently takes the side of those asking to stop the use of glyphosate. Glyphosate is not a cultivation method but an active ingredient in many herbicides whose use is permitted in the cultivation of herbaceous plants (not only grain but also legumes and vegetables) in conventional agriculture (that which uses generally intensive techniques that can also include the use of massive energy inputs such as synthetic chemicals as fertilisers and pesticides and fuel for crop processing etc.). What is the use/non-use of the active ingredient regulated by? All varieties of grain can be cultivated in conventional systems that use glyphosate, distributing it in pre-sowing or shortly before harvest so as not to interrupt growth. Using or not using the aforementioned active ingredient is also regulated by production costs as in the case of less profitable crops or in the case of the ancient Sicilian durum wheat grains, thanks to their hardiness they are able to make better use of the resources available (water, light and nutrients), than the weeds, the use of synthetic chemicals is therefore unnecessary and uneconomical. This allows for eco-friendly cultivation, compatible with local consumption and small rural economies. Molini Riggi has chosen organic farming, a cultivation method that only allows the use of natural substances (i.e. present in nature), excluding synthetic ones. What are the advantages? It is a sustainable production model that avoids excessive exploitation of natural resources, in particular the soil, water and air ensuring they are used not only by current generations but by future ones too. In this way, by only using organic wheat grown in Sicily to produce its pasta and with the use of a voluntary traceability system, Molini Riggi gives the final consumer a healthier product, free from a whole range of contaminants (for example DON, cadmium and glyphosate) which albeit in quantities within the law, have been present in the pasta on our tables for some time now. The grain you use is cultivated in Sicily and Italy or are there any grains from overseas as well? 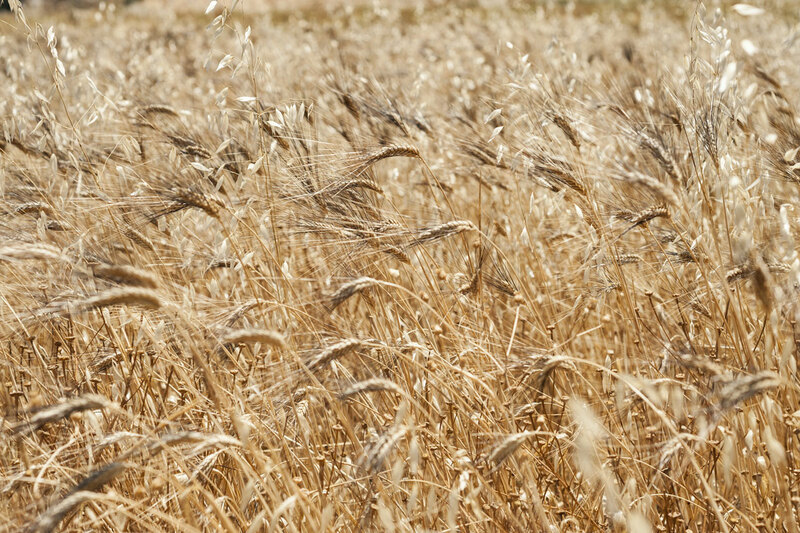 The raw material we use to produce pasta is only organic durum wheat grown in the Sicilian countryside.